Michael Gove, the education secretary, is in open warfare with the panel of experts commissioned to advise the government on the controversialnational curriculum he announced last week. Three members of the panel have made public their dismay at Gove's handling of the changes to how primary school children are taught maths, science and English, including the introduction of an officially mandated spelling list for children to master. Professor Andrew Pollard, who described the plans as "crude" on a blog, told the Observer he believed Gove's model for reform was "punitive and controlling". His colleague, Professor Mary James, president of the British Educational Research Association, published correspondence between the panel and Gove laying bare the "tensions", as she described them, with the department. And Professor Dylan Wiliam said he believed the principle of learning from the best education systems in the world had been "lost" during the creation of the proposed programmes of study. ■ A shadow team of advisers, whose identity has not been made "transparent", was advising Gove and bypassing the official panel in a move that raised concerns among the experts. ■ Two of the experts resigned last October over concerns about the government's "direction of travel" towards a highly prescriptive curriculum but were persuaded to stay on board. ■ The panel was upset to discover its official report was "quietly" published on the Monday before Christmas, avoiding media exposure. The revelations will be a considerable embarrassment for Gove, who last week thanked the panel for its "superb work in shaping" the curriculum, a claim his critics say is hollow. The proposed changes focus on a rigorous curriculum, with pupils expected to memorise times tables up to 12 by age nine, multiply and divide fractions by age 11 and begin to learn poetry at five. But last night Wiliam said he "struggled to see the linkage" between the proposed curriculum and the original intention of learning from the best systems in the world. "If you don't have a set of principles for a curriculum it just becomes people's pet topics," he said. Speaking to the Observer, Pollard escalated the row by questioning Gove's claim to have taken on board the advice that teachers should be given freedom to teach as they saw best. "We need to have systems that encourage constant improvement and take people on board with it. I think the model the government is adopting is really punitive and controlling," he said. "There were attempts by the expert panel to bring the freedom of teachers into discussion and the curriculum was delayed a year because of this. "When we raised this, Gove, to his credit, said 'OK, we will look at these issues seriously and we will move it on', but what has actually come out is not a serious engagement with these issues. What they have published now is just the programmes of study, but we don't have a sense of the freedoms the schools are supposed to have." 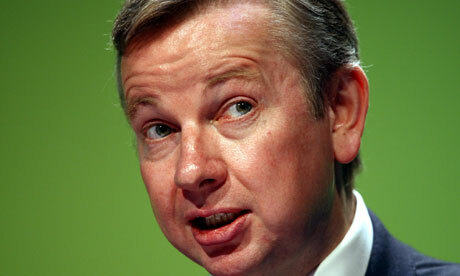 He added: "The word freedom has been part of Michael Gove's rhetoric. But in terms of the academy, it is almost freedom to retain inequality, isn't it? In the case of the curriculum, he does talk about teachers in schools having freedom – but there is so much structure and constraint around them, I don't think the freedom is going to be very real." Pollard said he had grown concerned that Gove was not being transparent about where he was picking up his advice on the programmes of study. He said: "The DfE hasn't made transparent the people who have contributed to these programmes of study." Chairman of the expert panel Tim Oates rejected the concerns, adding: "The principles agreed with the expert panel, including Andrew, at the start of the review remain in place There is greater demand and detail in the content of these key subjects and there is greater freedom for teachers in how they teach it. Publishing content year by year is not some rigid straitjacket. There remains flexibility for schools in the scheduling of content. The draft Programmes of Study are drawn from a rigorous research base, both domestically and internationally."